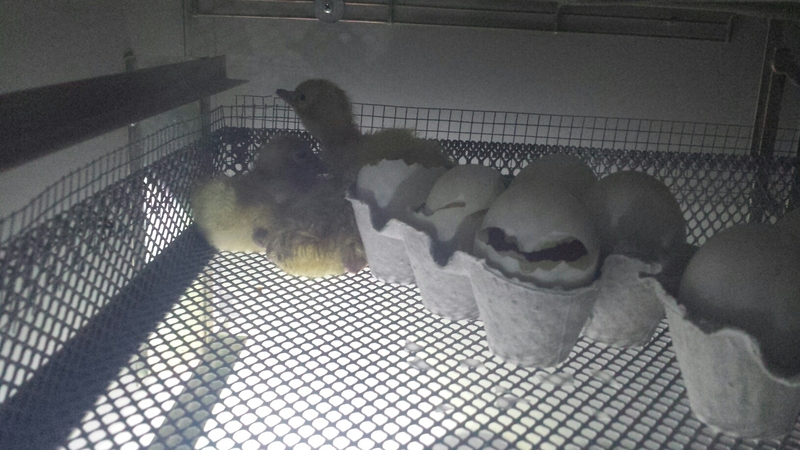 8 giant goose eggs underneath, the 11 WH eggs above… and the first duckling to drop down who I then put Fulvie with. 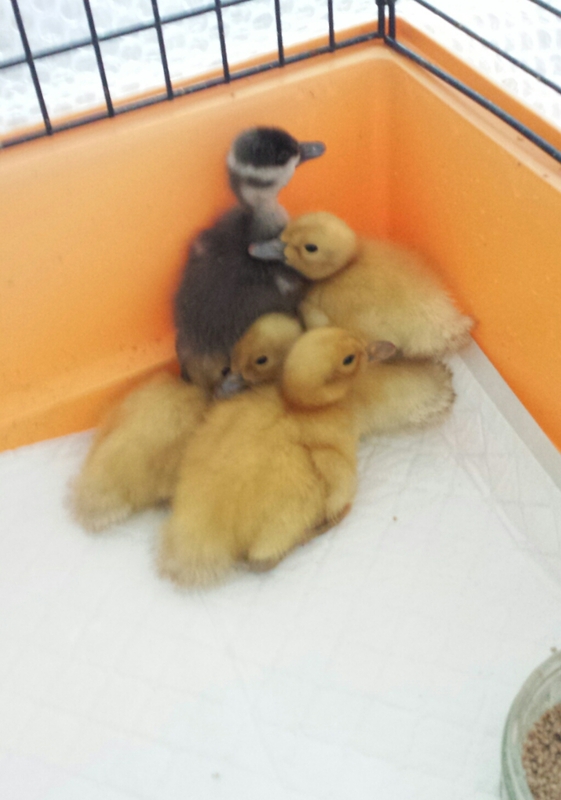 More ducklings hatching. 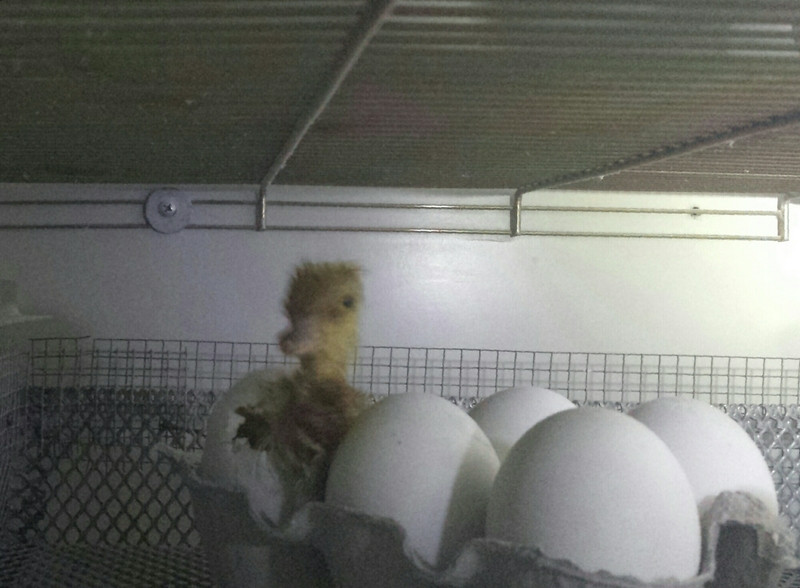 4 hatched, of those 3 dropped down to the bottom of the hatcher. 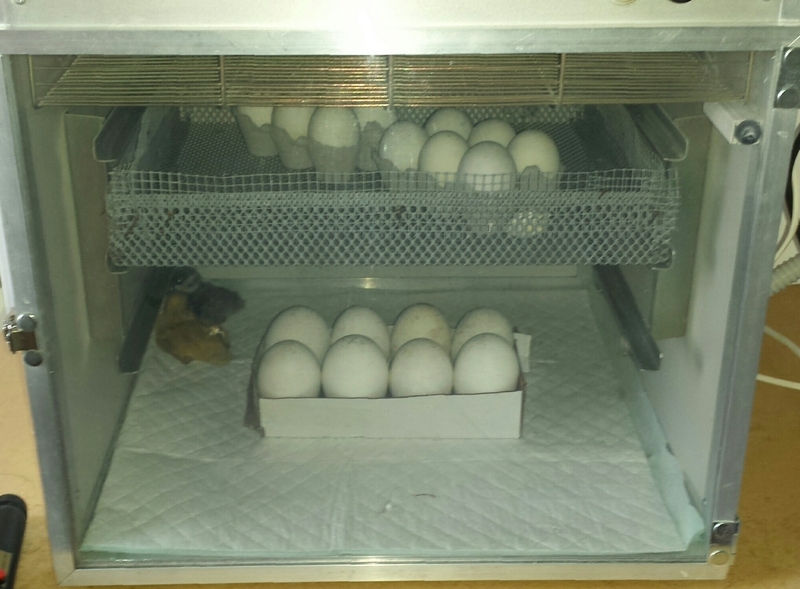 They were all fine but would need to further adapt the tray if did a double layer hatch again …. Fulvie with the other 4 before he and Buddy were separated. 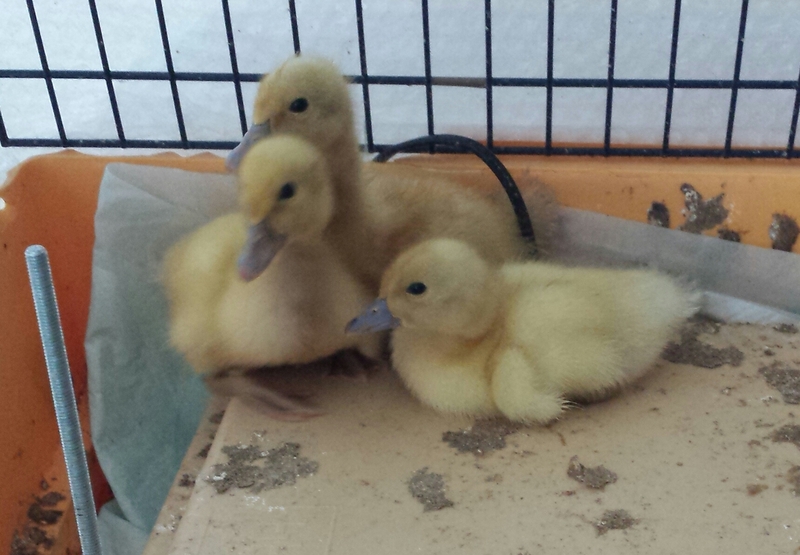 The 3… nothing quite as messy as ducklings!! By day 24, 11 eggs were still good.